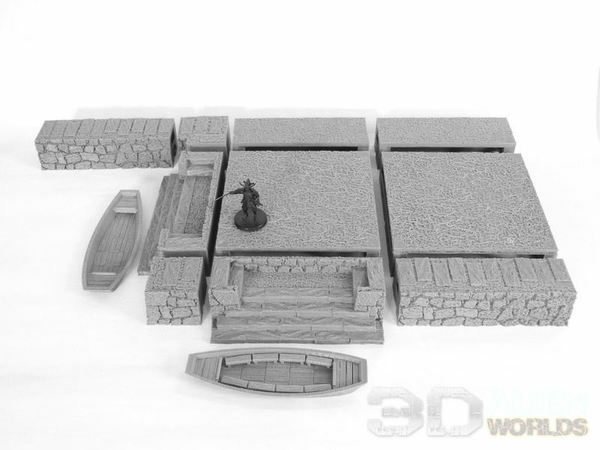 ▲ There are quite a few sections included in the set, along with two small punt boats. This arrangement is just to show off the versatility of the contents, but the painted pics will look WAY better! ▲ The 12cm steps section is designed to lead from the raised pathways down to the canals and punt boats. 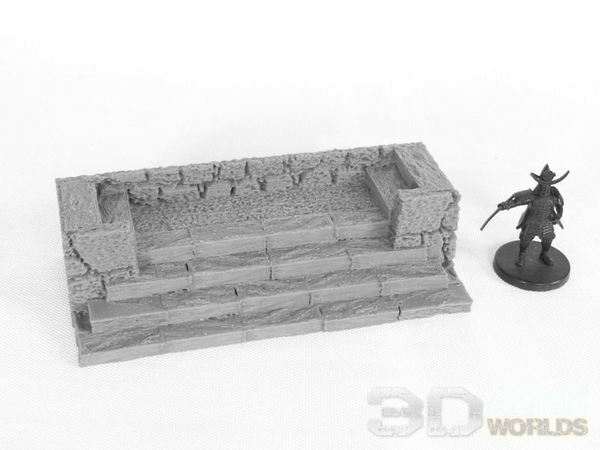 Alternatively, you could just use this set as low hills instead (approximately 30mm tall), in which case these steps would just lead down to your grass tabletop. ▲ Straight sections are 40mm deep and 120mm wide, and can use 3 different top surfaces. 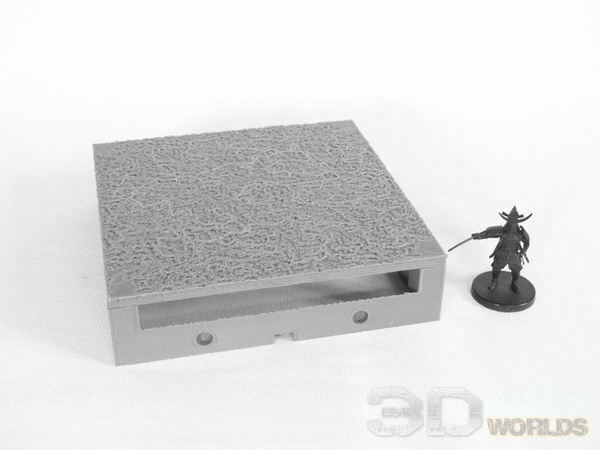 The first version is the textured earth surface shown at the back. For the second version (not pictured) you can just flip the textured earth over, and use the flat version on top. The third version is shown at the front, and includes rectangular paving slabs. 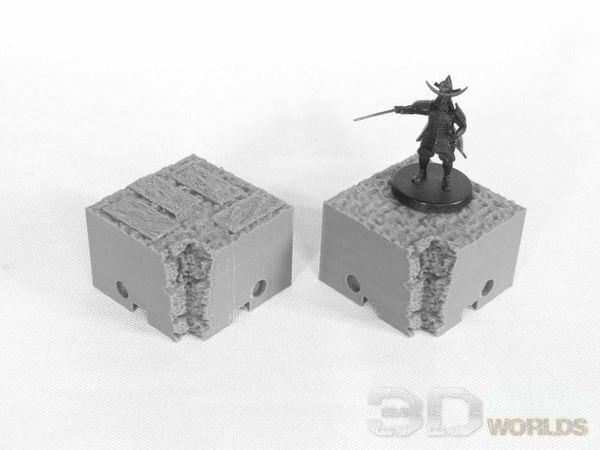 ▲ Of course you'll need corner pieces, and these are approximately 40mm square. 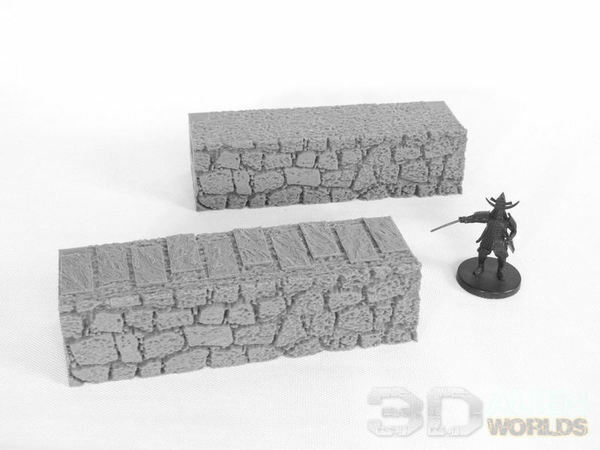 These also come in 3 versions; textured, smooth, and textured with stone slabs. ▲ For more versatility with your canal layouts, inner corners are also included in the set (again with 3 top versions - textured, flat, and stone slabs). As with all these pieces, you can connect them firmly with the included joining clips, or fit 5mm x 1mm rare earth magnets into the holes for a super-quick fit. ▲ These low centre pieces are 120mm square, and come with a textured surface on one side, or a smooth surface on the reverse. 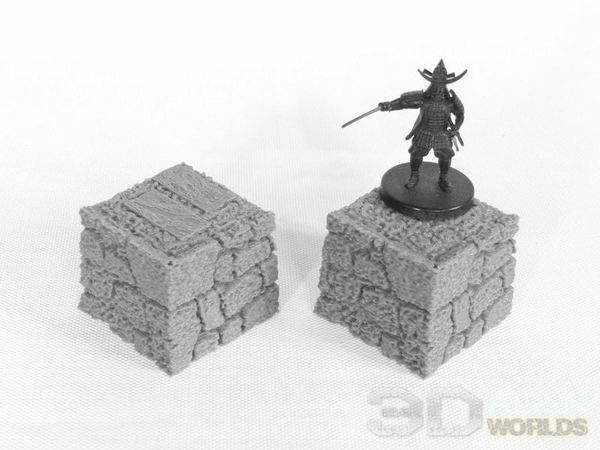 A thinner 44mm x 120mm piece is also included, in case you need to fill gaps next to inner corners. 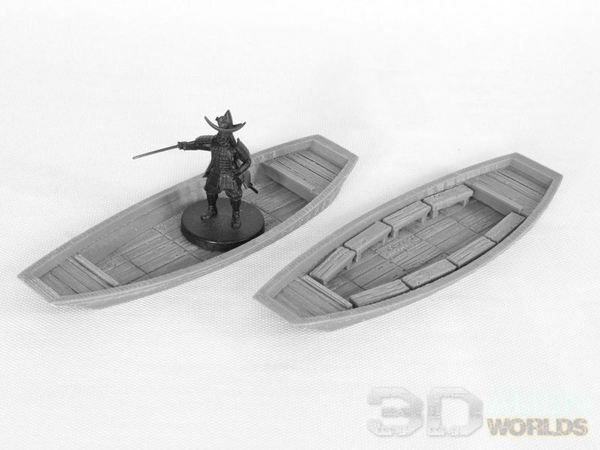 ▲ These are the two versions of the included boat. 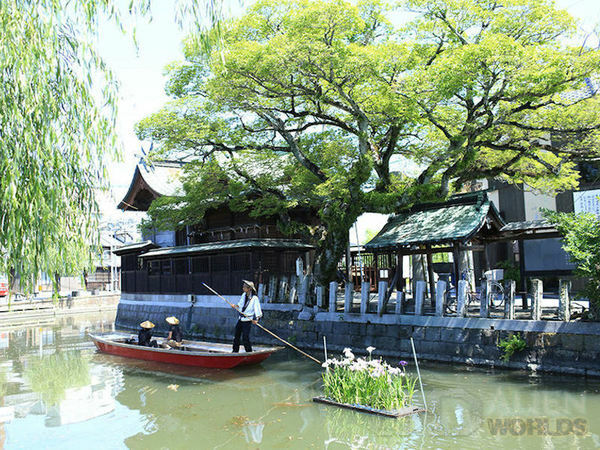 A simple wooden punt boat, called a donko-fune, was used to ferry passengers around town canals or moats at a leisurely pace, and are based on those found in present-day Yanagawa (see photo below). Both boats are one-piece prints, with fully textured and accurately detailed interiors. 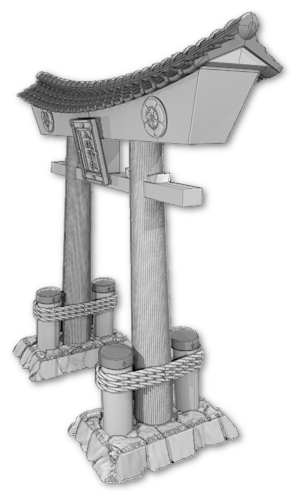 You can choose to print the boat with low stools included, or leave it empty to give warriors more room (to fall into the water!). 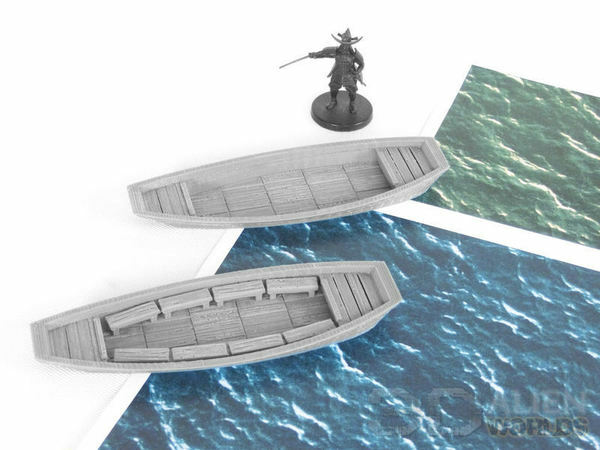 These boats were printed at 0.1mm layers to better show the woodgrain textures, unlike the rest of the set, which were printed at a faster 0.2mm layers. ▲ Finally, two high-resolution JPG files are also included in the set - blue and green. Simply print as many as you need (the ones above were printed at A3 size), and join together. The water textures are, of course, seamless - so you can go as big as you want! ▲ This photo was the inspiration for the set - taken in Yanagawa canal town in Fukuoka prefecture. These pieces will be hitting the paint desk over the next few weeks - so stay tuned for more! !